K-4 or those who are learning the method for the first time. Our manual includes detailed instructions for implementing the program effectively. 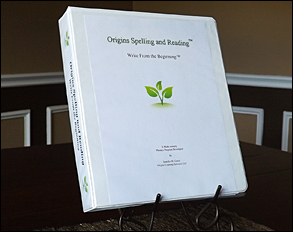 This 38 page instructional manual includes manuscript and cursive handwriting instruction, how to prevent and correct dyslexia, and much more. Additional pages include 9 diagnostic spelling tests, fluency tests, 35 weekly lesson plans for grades k-4, instruction on how to dictate the Language Notebook, spelling lists with mnemonic markings, grammar instruction, diagramming, and a copy master of the recommended middle-dotted line paper for perfection in handwriting. Everything you need to help students excel at impressive rates. 71 Revised Phonogram Cards with handwriting instruction on the back. The cards teach the 42 elementary sounds, ordered by their frequency in the language. 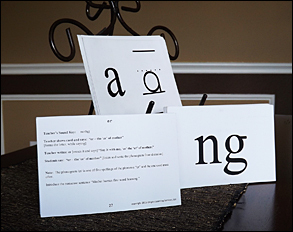 The phonograms absorb many of the silent letters and are based on Dr. Orton's original phonograms. Students quickly form the engrams needed to match phonemes to corresponding graphemes and enjoy learning them at all ages. The cards are especially suitable for ESL students. Large 24x36 lined charts for phonogram practice and dictation creation. 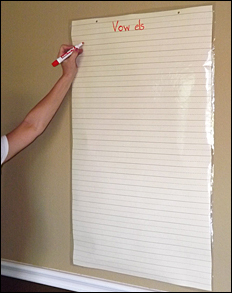 The charts may be laminated for non-consumable use with dry erase markers. 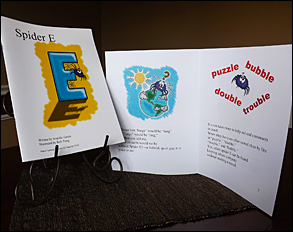 Spider E is a delightful poem book that demonstrates the five silent E's in English. Written by Jennifer Garza and beautifully illustrated by Rob Tong. Nine Orthography Tests- Found in the Teacher's Manual or may be purchased as a separate item. One for every month of the school year. 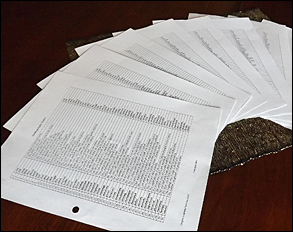 These 50-word tests rate students' spelling levels and provide a year and month equivalency scale. 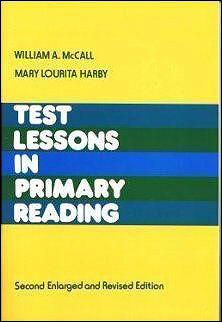 McCall-Harby, Test Lessons in Primary Reading. 60 test lessons with yes or no questions. 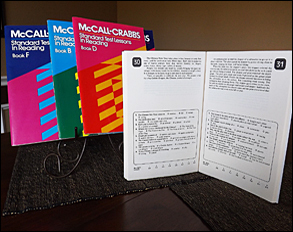 Not normed for grade level as these are intended for use in kindergarten until students are ready for McCall-Crabbs Book A.
McCall-Crabbs Standard Test Lessons in Reading. Books A-F.
Each booklet provides 60 Test Lessons with 8 reading comprehension questions. The tests were normed in 1969 and have been a classical tool since 1920's. The booklets can be non-consumable. Students are to be given these tests often, sometimes for unrecorded practice. The tests are 3-minute timed test (3min 30 second if answers are copied onto a separate sheet). 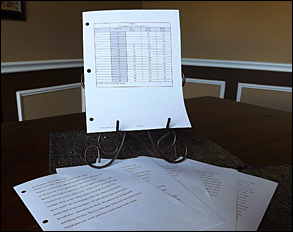 Booklets provide a grade year and month level for each test lesson, and the book levels increase in difficulty. An average of 5 tests provides a reliable assessment or 10 tests for further reliability. Fluency Tests-Booklet K-4- Found in the Teacher's Manual or may be purchased as a separate item. These fluency test passages include 3 tests per year for grades K-4, includes a norms chart for words per minute. Teachers objectively time words per minute and provide separate subjective scores for areas of prosody.